Life is full of the unexpected. I am a big believer that one of the best indicators of having a successful marriage, is how you face life’s challenges as a couple. 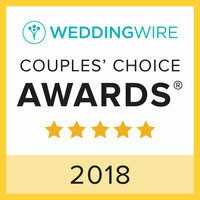 During the wedding planning process, I always tell couples that despite the best planning, its always possible that something small may go wrong and the thing to always remember is the true purpose of the day – your love and union. Personally, Daniel and I have seen a variety of incidents over the years: missing boutonnieres, floating candles almost catching a dress on fire, a dropped wedding cake in China (that one is quite a story), broken zippers, incorrect cake flavor, etc. We always hope that everything goes perfectly, but sometimes life has other plans. Chelsea + Ryan are a great example of a couple who encountered a few obstacles during their wedding day and handled them with humor and grace! 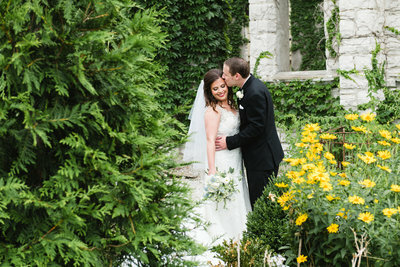 To back track a little bit, Chelsea + Ryan are an amazing couple. When you meet them it does not take long to realize that they were destined to be together. Throughout the entire process we have had a blast with them and are so grateful that they chose us to capture their day! During our first meeting we heard about some very exciting and unique plans for their wedding day. Ryan is a pilot and they informed me that they were planning on hosting their reception in an airplane hanger alongside private jets and how did I feel about that? I WAS ALL IN! My head has been buzzing with ideas from the start. Chelsea and her bridesmaids spent the morning getting ready at her home and when we arrived we smelled something shall we say…potent. Chelsea told us that the night prior, their larger dog, Candy, had gotten into a tussle with a skunk in the yard and did not emerge unscathed. Poor Candy had not only gotten sprayed, but they suspected she had retorn her ACL which she had just had surgery to repair not long before. As you can imagine this had left Chelsea + Ryan very worried. Candy had been taken to the vet and was being monitored because she was having a lot of worrisome symptoms. I am sure that all fellow pet parents will agree, this was a big distraction. You haven’t really experienced skunk odor until it permeates your home and it is STRONG. Chelsea and her bridesmaids did a great job of getting ready and having fun despite the smell. The bridesmaids informed me that their online research the night before had suggested opening a can of tomato sauce. Unfortunately, they found this to be ineffective, for anyone that faces future skunk issues. Chelsea looked absolutely stunning in her dress and we managed to get a few shots with her smaller dog, Bentley, before heading to the church. We left the skunk odor behind and everyone smelled lovely thanks to perfume and keeping the dresses in their bags until changing. 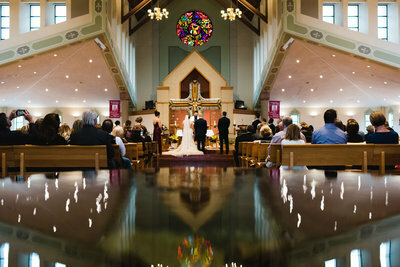 Their ceremony took place at Immaculate Conception Dardenne Prairie and was absolutely beautiful. Chelsea and her dad shared a very sweet first look and Ryan was beaming as she walked down the aisle. The love and support for these two was clear and they couldn’t take their eyes off of each other. It wasn’t long before they were officially husband and wife! After the ceremony we headed over to the park to do some pictures before the reception. Chelsea unfortunately got very carsick on the bus ride over, but handled it like a champ! Dealing with nausea is not one of my strong points, so I really admire how she stayed in good spirits. Ryan and the wedding party really rallied around her as well which was very helpful! Luckily once we arrived at Spirit airport, we had nothing but airplanes and fun before us! The reception was a big hit and guests really enjoyed the unique backdrop, live band, games, and delicious food provided by Sugar Fire. They both put a lot of thought into the details and what would make for an unforgettable night. 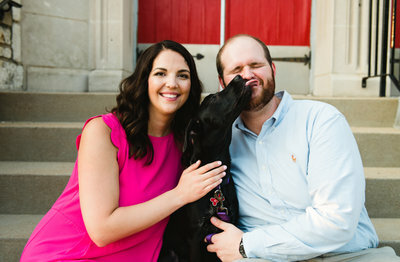 Not only did Chelsea + Ryan consider their human guests, Chelsea’s sister and brother-in-law (who are both chefs in DC) created the most adorable dog treats to take home as favors. Our dogs Chloe and Mogli greatly approved of this! The rest of the evening was spent enjoying the company of their friends and family, eating pie and whipped cream, and lots of dancing. 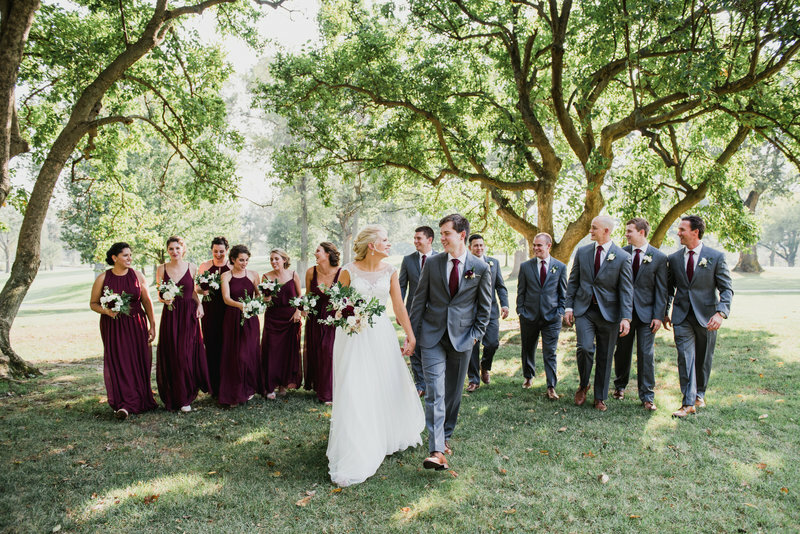 Despite a few hiccups during the day, Chelsea + Ryan embraced everything together and their wedding day was a great success. I have no doubt that they will have a lifetime of love, adventure, and less skunk! I am happy to report that Candy had another knee surgery and is recovering well! Please enjoy some highlights from their special day!